Clear Creek Landscapes has a profile set up on the home remodeling and design website Houzz.com. Houzz is a platform for home remodeling and design, bringing homeowners and home professionals together in a uniquely visual community. Houzz contacted us a few years back, as the company was just getting built up, and asked us to create a professional profile describing our projects, posting pictures, and sharing information about the products used. 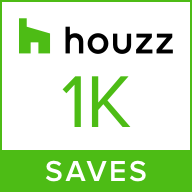 Houzz has grown substantially over the past several years and is now one of the largest home remodeling resources for design and inspiration. If you have been on the site yet, check it out. I will warn you that it will be addictive. There are projects from across the country and even the world showing all different design styles, products, concepts, and contractor spotlights. There are even other Local Omaha Landscape companies that have joined the site to show off some of the great projects happening around Omaha. Omaha landscaping is great because we are able to incorporate so many different types and styles of projects and not stuck to a certain style of an area. When you go from one house to another, they can all have a unique style an represent something different and still fit in. We love it here is Omaha. We get to show off our unique styles.